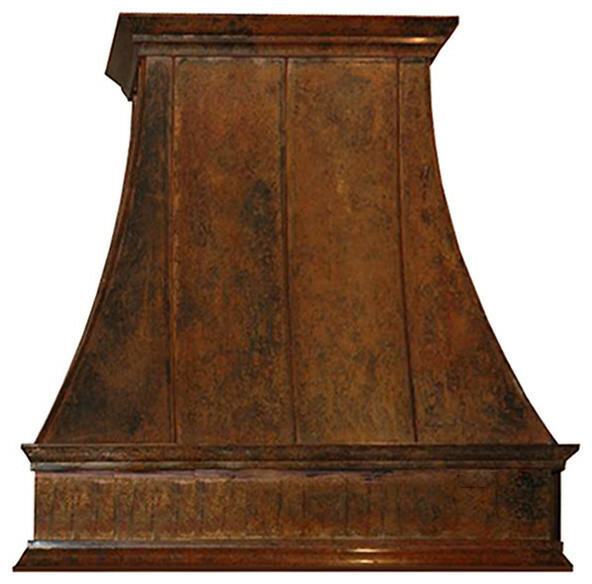 Hand hammered design makes this country copper range hood a great addition to the kitchen. Customize the traditional copper hood by choosing natural fired, coffee, honey or antique finishing. "Montgomery" style is produced as 30, 36 or 48 inches wide. Its depth is 22", height 36" and it takes about thirty days to deliver. Once purchased specify the hood 220000026 version as wall mount or kitchen island. Enjoy free delivery. W 30" / D 22" / H 42" / 187.5 lb.